Monarch Air Group provides private air charter in Casper, WY. Our clients benefit from top-notch service, unrelenting dedication to safety, wide selection of aircraft, and years of experience in chartering private jets. To obtain a free quote, please use our online quoting tool provided below, or call toll free 1-877-281-3051. Located in east-central Wyoming, on the North Platte River, at the edge of the Great Plains, Casper is the second largest city in Wyoming, after the capital city of Cheyenne, and the county seat of Natrona County. The city was founded as cattle-producing area in 1888 and grew rapidly after the finding of oil at Salt Greek. Casper is the center of mining, oil industry, ranching, tourist industries, and manufacturing. Casper is the dynamic and beautiful city, which has Western history, wonderful sceneries, historic places, several West’s greatest outdoor adventures and attractions. Casper has something to offer both visiting tourists and business travelers during their visit, from museums like the National Historic Trails Interpretive Center and the Nicolaysen Art Museum to art galleries, theaters, cultural sites and sporting events. Casper has easy access to close to attractions, such as Casper Mountains, the Old Fort Caspar Museum, and the Central Wyoming Fairgrounds. 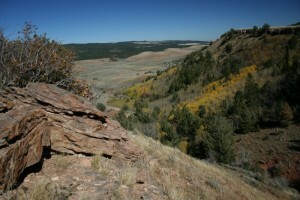 As Casper is situated in the centre of Wyoming, it has easy access from the whole state. Casper is served by two main airports – Natrona County International Airport (CPR) and Harford Field Airport (HAD), which provide business and travelling charter flights to tourists from all parts of the world.